To provide a natural setting along the Peace River showcasing world-class sculptures and spectacular botanicals to inspire creativity throughout the community. To share ideals of gardening in a sub-tropical region, to educate our community on local flora and preservation, to share our location with local wildlife, and to inspire an artistic spirit in others by curating sculptures and fine art from around the world. 27 acres of preserved native habitats will provide a home to many aquatic and terrestrial species, best seen from our expansive boardwalks. 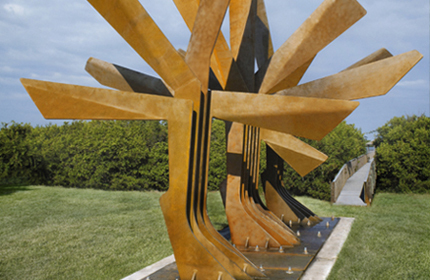 Flowering trees and plants will bloom year round amidst sculptures from across the globe. Roger and Linda Tetrault began with 27 acres of uplands and wetlands. They conceived the idea of creating botanical gardens with world-class sculptures and an art gallery, while still preserving the natural environment and formed the Tetrault Family Foundation to fund and develop this project. In doing so, this foundation will be providing the people of Charlotte County Peace River Botanical & Sculpture Gardens. Roger E. Tetrault is the retired CEO and Chairman of the Board of McDermott International, one of the world’s largest off-shore oil companies, which also, at the time, was the parent of the Babcock and Wilcox Companies. Today, both companies are listed separately on the NY Stock Exchange. Previously, Tetrault was Senior Vice-President of General Dynamics, responsible for all Army Defense Programs. He was also the President of Electric Boat Shipyard in Groton, Connecticut, which was responsible for the construction and overhaul of Nuclear-Powered Submarines. During his early career, Tetrault played a major role in the development of a new generation of Naval Nuclear Reactors which would last the life of a ship. This major development will continue to save the Navy billions of dollars for new reactor procurements and future nuclear overhauls. Tetrault is a 1963 graduate of the U.S. Naval Academy in Annapolis, Maryland. He received an MBA from Lynchburg College in 1976. Over the years, he has served on over twenty commercial and charitable boards. He was inducted into the Lynchburg College, Business and Economic Hall of Fame in 1998. The U.S. Army Armor Association honored Tetrault in 1997 by induction as a Distinguished Knight in the Order of St. George. In 2005, he was awarded the NASA Distinguished Public Service Medal for his contributions to a Task Force reviewing the technical and financial management of the Space Station and, additionally, for his service on the NASA Advisory council. He was also one of the 12 board members tasked with leading the investigation into the loss of the Space Shuttle Columbia in 2003. Finally, he was a key member of the committee which was tasked by the National Research Council to review the options for extending the life of the Hubble Telescope. Based on their recommendations, Hubble was ultimately repaired during shuttle flight STS-125 and continues to provide critical scientific information today. In 2013, Tetrault was selected from over forty thousand living alumni as the 55th Distinguished Graduate of the United States Naval Academy. 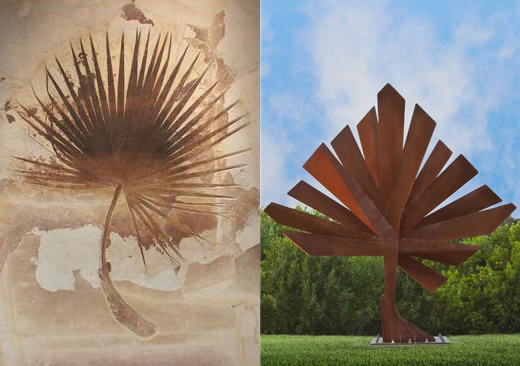 A 50-million-year-old stone palm frond fossil serves as the inspiration for the Gardens’ logo and signature sculpture — STEEL PALM — for these spectacular waterfront gardens, which will ultimately encompassing 27 acres. The Gardens will integrate Florida’s natural habitat, featured botanical collections, architectural ingenuity and contemporary interpretative art to offer one of the largest botanical and sculpture gardens in the State of Florida. 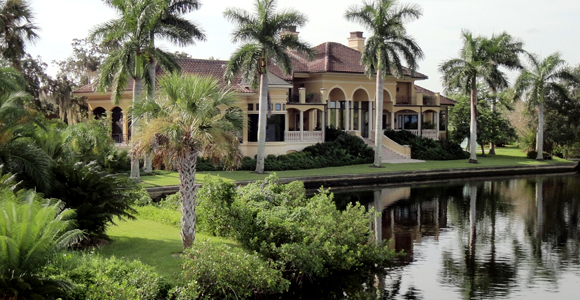 Did you know that 20 percent of all the wetlands in the United States are found in Florida? 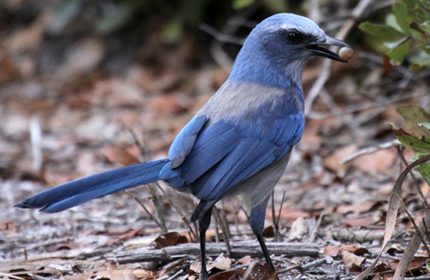 Our gardens and conservation efforts work to ensure future generations will enjoy Florida’s beauty and important natural resources.